Chef Subarna works with you to customize a menu that’s right for your event. Whether it is a wedding shower with California cuisine, a backyard Hawaiian luau BBQ, a graduation dinner with Mediterranean or Thai food, a four-person five-course Indian meal, simple comfort food like gourmet soup or lasagna, or a Korean Bibimbop for a festive gathering, Subarna’s will ensure the flavors are superb. Find out more. Enjoy your event without worry. Subarna’s love of cooking came from having grown up in Kathmandu, where eating local fresh foods and delighting in meals with friends and family is a way of life. Hours are spent preparing dishes with layers of flavor and ingredients. This inborn appreciation for food fueled his passion to learn about new cuisines, flavors, and techniques and to make creative menus that satisfy and inspire. 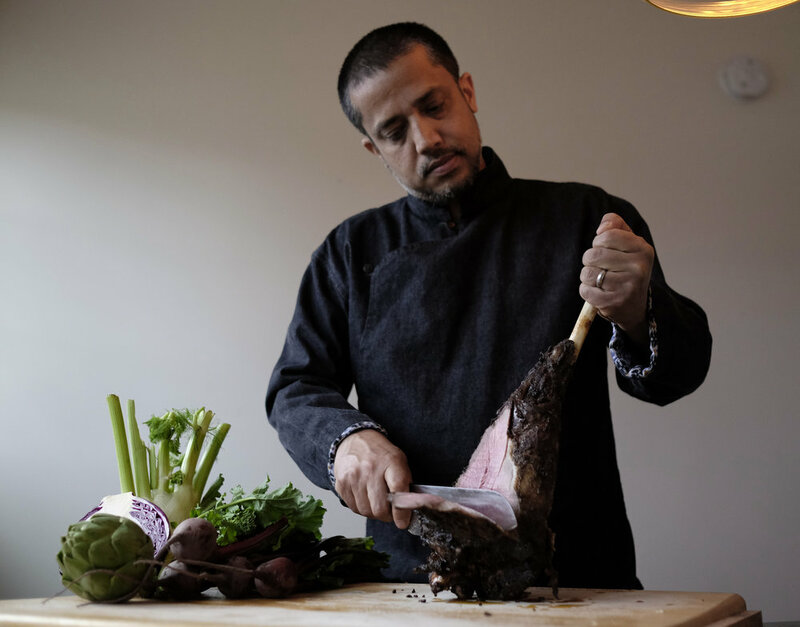 Find out more about Chef Subarna. Chef Subarna has spent years teaching others how to improve their cooking skills and feel more comfortable in the kitchen. Gather your friends for a lesson and experience new dishes that you might not have tried before. Besides learning many tricks of the trade, you will learn about the origins and cultural influences of the dishes you prepare, and you’ll have fun!